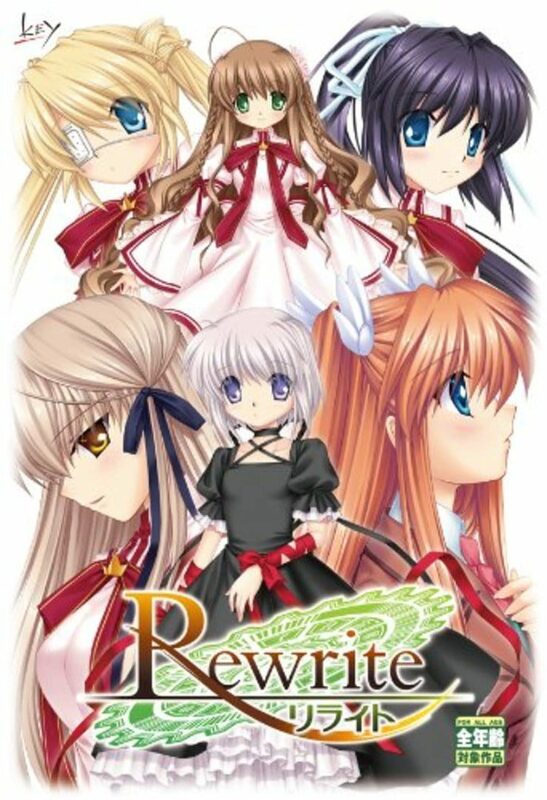 Rewrite is an all-ages rated Japanese visual novel developed by Key. The story follows the life of Kotaro Tennoji, a high school student with superhuman abilities who investigates supernatural mysteries with five girls from his school. This ultimately leads him into the middle of a conflict between familiar summoners and superhumans searching for a familiar girl named Kagari who is the key to intelligent life and its destruction on Earth.